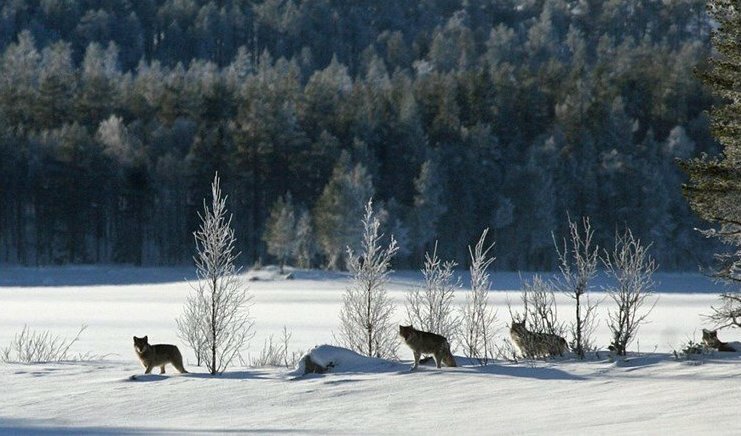 When Robert Huldt (52) was skiing he got close contact with a wolf pack on the east side of the Osensjøen River between the municipalities of Åmot and Trysil in Eastern Norway. He tells that it was the five wolves – and not him – that got scared. – After it was made public that I had taken these pictures, everybody has been asking if I got scared. But the only thing I was scared of was not to be able to take pictures before the wolves disappeared, says Robert to the Hamar Arbeiderblad newspaper. The second last Sunday in January, he went skiing between the Åmot and Trysil municipalities in Eastern Norway. 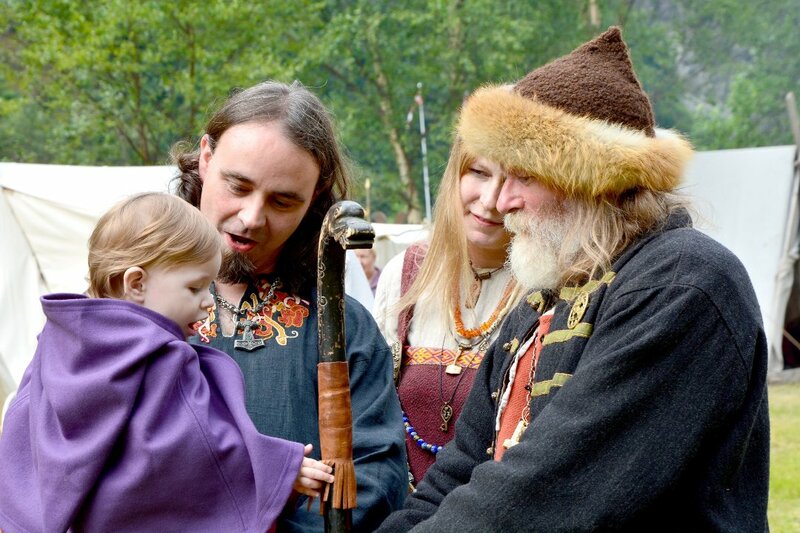 When he discovered fresh wolf tracks he phoned his friend Rune Moen to share the unique experience. Before his friend showed up, Robert had observed that the wolves had moved into a grove. He and Rune moved a couple of kilometers to a place where they thought the wolves would come into sight. – After about forty-five minutes we spotted the five wolves, says Robert. – They appeared from nowhere about 80 to 100 meters (about 300 ft) away. We heard some low barks before we saw the animals. For several minutes they did not move. It seemed that they had full control of the situation. 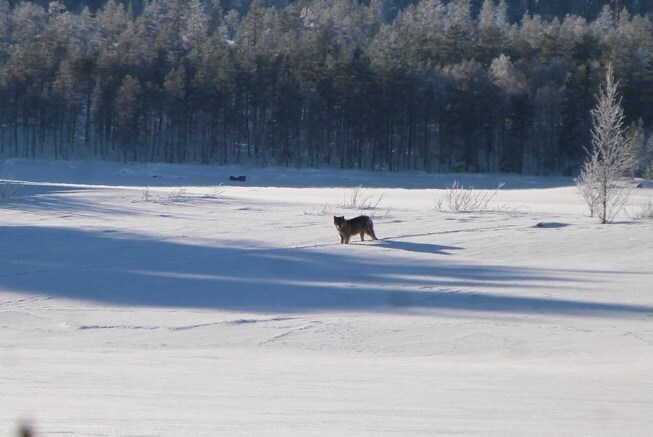 Robert believes that it was the so-called Slettås wolf pack they observed at close range this Sunday. – The first wolf in the pack I considered to be the alpha female (…). Wolf number two was limping on one front leg. The third was lying down, stretched the leg and yawned. It really seemed to take life easy. The last two went quietly past us after the first two. Only when the other four had passed, the one lying in the snow stood up and continued moving with calm bounces, says Huldt. While many amateur photos of wolves are of rather poor quality due to the long distances, Huldt’s photos are taken with a high quality compact camera with zoom. Robert wants to draw little attention to himself and refuses to be photographed by the Hamar Arbeiderblad newspaper. – For Rune Moen and me, it was a fun experience, a bit like being afraid to lose a big fish you have on the hook. They are beautiful! So awesome!